MULTI 6.5.26 - Last Miui 7! MIPAD 2 GOOGLE APPS REMOVED! - We decided to remove Google apps from MiPAD 2 ROM due to unresolved ERROR 963..
And more, and more made by our 5 years MIUI mods experience.. This is last MIUI 7 version..! June.17th - MIUI 8 Weekly ROM will be officially released. 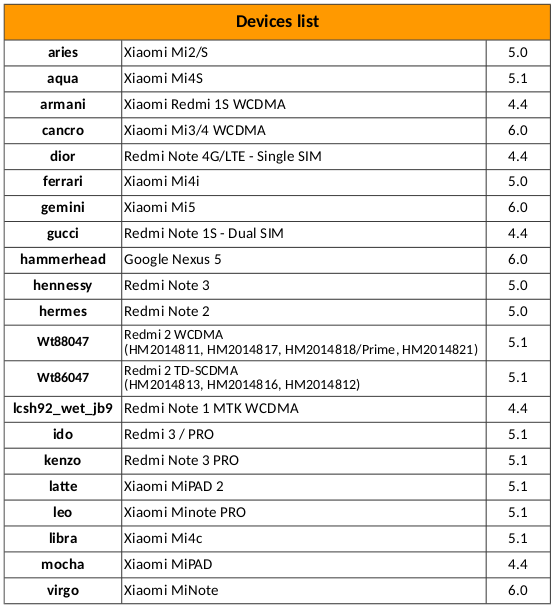 Xiaomi removed ROOT from all devices (except Mi2) and blocked it in kernel... Install SuperSU manually in TWRP if you still need a root and knows what you are doing...! finally... last update before migrate..
10x for U hard work! All of Team! what about my new Mi Pad 2? Is getting Miui 8? will there be Stable ROMS on MIUI 8 or you will make only weekly? Thank you Team! Just say Good bye Miui v7. All the best to Eu Team. Thanks for your continous (non xiaomi supported) work! Thanks so much as always, but the lastest ROM 6.5.26 for redmi note 2 isn't root. And anyone else likes me? By me too, but when I was in to TWRP the Super Su offer me to install it and I do. So let's see what happen? So, now Super Su is update by itself and root return. But I wondering why it DISAPPEAR? Many thanks @ingbrzy great job. It's time to say goodbye to MIUI7...It was nice, it was good, but that's enough, let the changes to come!